The Toolkit is made possible thanks to voluntary contributions by a faculty of multiple stakeholders. Kevin Carey, humanITy, RNIB/World Blind Union, U.K.
John Clarkson, University of Cambridge, Engineering Design Centre, U.K.
Jonathan Freeman,MD i2 media research ltd; Department of Psychology Goldsmiths, University of London New Cross, U.K.
Helen Petrie, University of York, U.K.
David Sloan, University of Dundee, U.K.
Sam Waller, University of Cambridge, Engineering Design Centre, U.K.
David Baylor is the founder and principal of DB Technology, a consultancy focused on media, technology and managing organizational change. 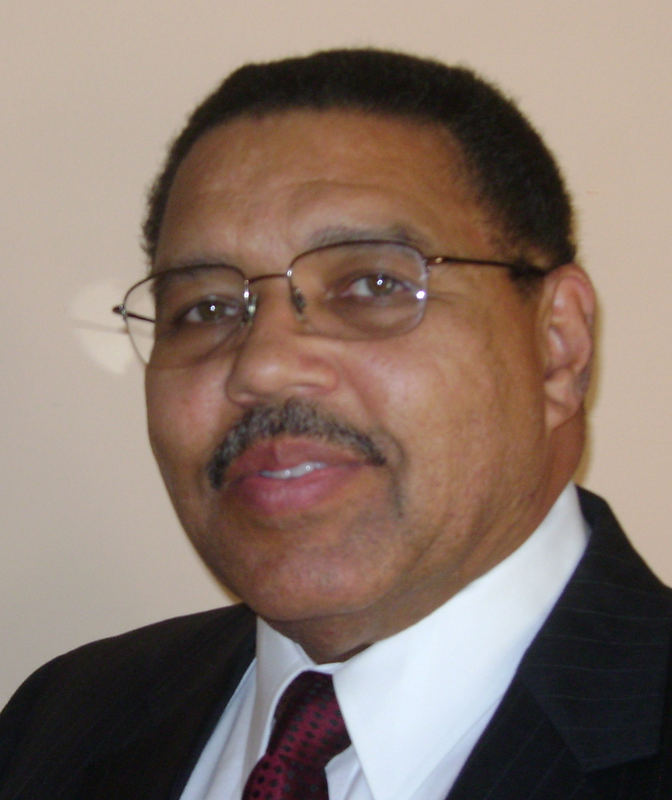 Mr. Baylor is a Senior Executive with over 40 years experience in the broadcast television and satellite industries. He has a demonstrated successful track record in strategic planning, cutting edge technology development and implementation as well as leading organizational change in a diverse environment. He has solid experience in developing and managing budgets in excess of $100 million. From 2005 through 2009 Mr. Baylor was Secretary General of the North American Broadcasters Association where he represented the interests of the major broadcasters in Canada, the United States and Mexico with regards to international regulatory and policy issues. He also was Head of Secretariat for the World Broadcasting Unions (WBU), coordinating the efforts of the other seven world regional broadcasting associations in developing and implementing strategies in the areas of technology and strategy (at the ITU), intellectual property rights (at WIPO) and global efforts to address the needs of audiences world-wide. Mr. Baylor studied electrical engineering at the University of Maryland and microwave radio in the United States Army. He is the recipient of the 1997 Black Engineer of the Year Award for Career Achievement. Hardik is working for Cisco’s Global Smart + Connected Communities group as Director of Business Development and strategy. Hardik oversees Cisco’s large, marquee SmartConnected Communities projects for the Americas. Hardik joined Cisco after being the Chief Information Officer of the City of Chicago and Commissioner for Chicago Department of Innovation and Technology for close to 5 years. As CIO, Hardik lead Mayor Daley’s charge for universal and affordable broadband for all Chicagoans through various initiatives, including the Smart Communities program. Prior to joining the public sector, Hardik worked as a consultant with Oracle corporationin the U.S. and Tata Consultancy Services (TCS) in India. Hardik has an MBA from Northwestern’s Kellogg Graduate School of Management and a Bachelor’s degree in Computer Science from M. S. University, Baroda, India. Francesca Cesa Bianchi has worked for G3ict since its inception. She has an in-depth experience of digital inclusion issues for persons with disabilities, the CRPD, and is a frequent speaker for G3ict internationally. She oversees G3ict’s relations with international organizations, governments and academia as well as G3ict’s “CRPD Progress Report on ICT Accessibility” which measure the level of ICT accessibility for persons with disabilities around the world. She speaks fluent English, Spanish, Italian and French. Prior to her current position, Ms. Cesa Bianchi served as Director of Public Relations for the Georgia Council for International Visitors, freelance writer for CNN Italia, and as a Carter Center-accredited election observer in Venezuela in 2003 and 2004. She is a Fellow of CIFAL Atlanta, the North American affiliate of the Decentralized Program of the United Nations Institute for Training and Research (UNITAR) where she served as Director of its Gender Equality Program (2006-2009). A native of Milan, Italy, Ms. Cesa Bianchi graduated with a degree in political science from the Universitá degli Studi of Milan, and holds a M.A. degree in communication from Georgia State University. Fernando Botelho, an Ashoka Fellow, leads the F123 initiative, a service that provides high performance software, training, and technical support - at extremely competitive prices - to foundations and organizations helping the blind and visually impaired. He has extensive experience managing projects in the areas of poverty reduction, technology, and disability. He specializes in tools and strategies that are inherently low cost and scalable; in his own words "The only solutions that matter, given the enormous challenges humanity faces, are those that can be scaled.” Fernando's experience includes managing the Visionaris Award, a partnership between Ashoka and UBS AG, in Argentina, Brazil, and Mexico. Before his work for UBS Philanthropy Services in Zurich, Fernando worked for the International Trade Centre UNCTAD/WTO, an agency of the United Nations in Geneva. At ITC, Fernando led the development of the first methodology for the integration of professionals with disabilities in the services export sector. Before joining ITC, Fernando was Director of Technology at a New York NGO where he led the development of eSightCareers.Net, a groundbreaking online community for the professional advancement of people with disabilities. Fernando has published and spoken on trade, open source software, public policy, and disability topics in over 20 countries in four continents. He has degrees from Georgetown University and Cornell University. Fernando also has over two decades of first-hand experience with blindness.Profile photograph courtesy: Stockler/Na Lata. Kevin Carey is Chair of RNIB (www.rnib.org.uk), the UK's leading blindness charity with an annual turnover of more than GBP100 million as well as being Chair of humanITy (www.humanity.org.uk) a specialist e-Inclusion Charity, and Chair of the DCMS/Ofcom Community Radio Fund Panel (www.ofcom.org.uk). He is head of e-Inclusion Consultancy for ATcare (www.atcare.co.uk), a Board Member of the Social Investment Business www.socialinvestmentbusiness.org and a member of the ACEVO Regulatory Task Force (www.acevo.org.uk). He is a regular contributor to Managing Information (www.managinginformation.com) and Ability Magazine (www.abilitymagazine.com). He is a former Member of the Ofcom Content Board and a NESTA Fellow in accessible broadcasting (www.nesta.org.uk), with a Royal Television Society Award for engineering. Carey, who has made almost 200 major presentations on every aspect of accessible digital information systems, has been involved in major projects concerning the accessibility of computing, telecommunications and broadcasting, and their convergence. He has been involved in every aspect of the discipline from laboratory testing to advising UK and EU officials and Ministers. He was a Member of the Ofcom Content Board (2003-06), won a NESTA Fellowship in accessible broadcasting (2004-06), and a Royal Television Society award for engineering (2003). Jonathan Freeman is a Senior Lecturer in the Department of Psychology at Goldsmiths, University of London where he leads his academic team's input to a range of projects focused on user needs from digital media products and services, with a key focus on usability and accessibility. Jonathan is also Managing Director of i2 media research limited, a spin off from Psychology at Goldsmiths. He set up i2 media research with Goldsmiths in 2002, and leads its continued growth. 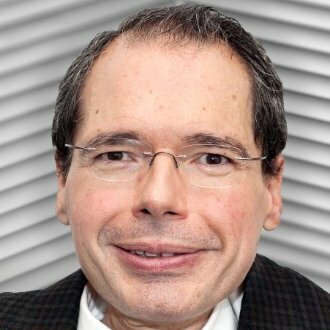 Claudio Giugliemma (Swiss citizen born in 1966) is an internationally recognized expert in Information and Communication Technology and Accessibility, with an extensive and international working experience in the IT and AT (Assistive Technology) Industry. With over 20 years of cross-sector experience on ICT, e-Health, e-Education and Assistive Technologies, in the past 14 years he has focused with great success on Accessibility and Usability of ICT and e-Services, in particular on Digital Inclusion. Founder of QualiLife Inc., a Swiss company specialized in the development and distribution of award-winning software solutions for the Health Care and Accessibility market. Claudio is a member of various civil society organizations, including G3ICT, member of the European Voices For Innovation organization, and Steering Committee member of AIA (Assistive Interoperability Alliance), which is now part of ATIA (Assistive Technology Industry Association). In addition, Claudio was the promoter and Steering Committee member of the EU funded project called TOBI, which is developing the first BCI (Brain Computer nterface) for people with disability. In 2005, Claudio founded and he is the president of Dominic Foundation, a non-profit Swiss foundation with the goal of promoting fully accessible and sustainable ICT for people in the Digital Divide group. In this position he has conceived a new technology concept and solution for the Digital Inclusion, named LUCY®. In 2009, Dominic Foundation joined as active member the ITU (International Telecommunication Union), in particular the ITU-D sector (Development), and in 2010 the ITU-T sector (Standardization) and the DCAD (Dynamic Coalition on Accessibility and Disability). In 2010, Claudio founded LucyTech Inc., a Swiss company specialized in developing Digital Inclusion solutions based on Cloud Computing, Next Generation Technology and e-Services. Larry Goldberg is the founder and director of the Carl and Ruth Shapiro Family National Center for Accessible Media (NCAM) at Boston's public media leader, WGBH, where he has worked since 1985. NCAM is a research and development group which focuses on public policy initiatives and strategic corporate and governmental partnerships which advance access to media and technology for people with disabilities. Under Goldberg's leadership, NCAM has conducted dozens of innovative R&D projects for full inclusion in such fields as online education and digital publishing, mobile devices and mobile media, in-flight entertainment, home media networks, Web-based media, theatrical motion pictures, museums and theme parks, and many others. 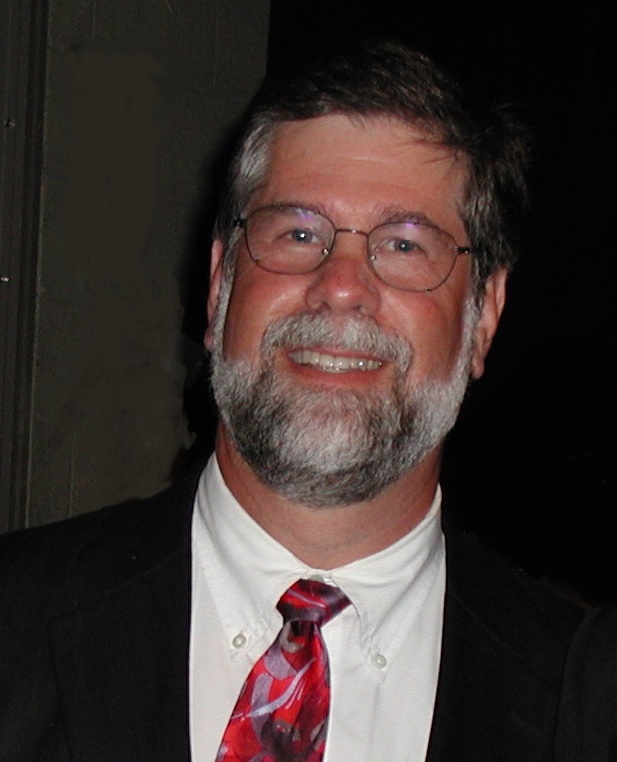 Larry regularly briefs Congressional and regulatory agencies on barriers and opportunities in new and emerging media and was instrumental in the passage of landmark legislation for accessible media and technology. Larry received a BA in Broadcast Journalism from the University of Southern California. Martin Gould, Ed.D. is the G3ict Research Committee Chair. He has been involved with G3ict's work since December 2006, and has worked on a number of projects related to the CRPD. Martin's professional work over the last 28 years includes directing federal policy research, directing non-profit outcomes research, administering family and student support systems in school systems, and serving as a university lecturer and academic researcher. He took his doctorate in education and research from The Johns Hopkins University in 1985. 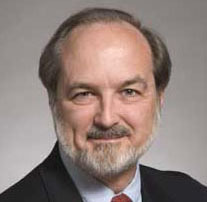 Axel Leblois spent over 20 years at the helm of information technology companies in the United States including as CEO of Computerworld Communications, CEO of IDC - International Data Corporation, President of Bull HN Worldwide Information Systems - formerly Honeywell Information Systems, CEO of ExecuTrain and President of W2i, the Wireless Internet Institute. He is a frequent speaker at conferences and seminars on ICT accessibility for persons with disabilities organized for policy makers, civil society and the private sector to foster collaboration among multiple stakeholders. In his capacity, Mr. Leblois oversees all the publishing, capacity building and advocacy activities of G3ict. Mr. Leblois served as a Senior Special Fellow of UNITAR, the United Nations Institute for Training and Research, and is a founding trustee of its North American affiliate CIFAL Atlanta. He served as chairman of the board of the Atlanta International School and is currently chairman of the board of CASIE, the Center for the Advancement and Study of International Education and a trustee of the Clarkston Development Foundation. Mr. Leblois holds an MBA from INSEAD and is a graduate of Sciences Po Paris. Alex Li is the Senior Accessibility Strategist at Microsoft. His primary responsibility is to represent Microsoft in addressing global accessibility public policies and accessibility standards development. He is also responsible for governance policy within Microsoft to uphold Microsoft’s accessibility conformance process. Alex is the convener of JTC 1 Special Working Group on Accessibility (SWG‐A), and served as its Task Group 2 chair and TEITAC liaison. Alex is the JTC 1 representative for the ISO/IEC Guide 71 JTAG. He also represents Microsoft as a member of the W3C Web Content Accessibility Guidelines Working Group (WCAG WG) and Authoring Tool Accessibility Guidelines Working Group (AUWG). Prior to joining Microsoft, Alex was responsible for accessibility policies and standards at SAP. Nirmita Narasimhan is Policy Director with the Centre for Internet and Society, India and works on policy research and advocacy related to IP reform and technology access for persons with disabilities. She is involved in the drafting of the Indian National Policy for Electronic Accessibility and also works closely with different departments of the Government of India to bring accessibility into their policies and programmes. On the international front, she has presented papers on ICT and accessibility at international forums like the IGF, and is a member of the G3ict publications and editorial team. She has also participated in the World Blind Union Treaty negotiations at WIPO. Her educational background includes degrees in Law, German and Music. In recognition of her work, she received the National Award for Empowerment of Persons With Disabilities from the President of India in December 2010 and the NIVH Excellence Award from the National Institute for the Visually Handicapped in December 2011. Nirmita's work can be viewed at http://www.cis-india.org. Trisha O'Connell is the former Director of Research and Development for the WGBH National Center for Accessible Media, shaping and managing projects that address current and emerging accessibility challenges in the convergence of technology, media, disability, and education. She worked in Media Access at WGBH beginning in 1988, serving as director of The Caption Center prior to joining NCAM. In 2013, she joined the Education Development Center's staff. She holds an MBA from the Simmons Graduate School of Management. Inmaculada Placencia is Deputy Head of Unit, for Rights of Persons with Disabilities within the Directorate General for Justice. The unit is in charge of the coordination of the European policies for persons with disabilities and responsible for the European Disability Strategy 2010-2020 and the implementation of the UN Convention on the rights of persons with disabilities at EU level. She is graduated in Physics and Computer Science and work in RTD activities in industry. Since 1991 she joined the European Commission and worked in several research programmes addressing accessibility and applications for older persons and people with disabilities. The focus of her work in the "e-Inclusion" unit of the Directorate General Information Society and Media as well as in the Integration of people with disabilities unit in Directorate General for European Employment social affairs and equal opportunities addressed policy related activities in the area of accessibility at European and international level, as well as eAccessibility and eInclusion and work related to Design for All and Assistive technologies. She is responsible for the Task Force for the preparation of the European Accessibility Act. Dónal Rice is the Senior ICT Advisor for the National Disability Authority of Ireland (NDA) - Centre for Excellence in Universal Design (CEUD), which was launched in October 2007. The CEUD is dedicated to the principle of universal access, enabling people in Ireland to participate in a society that takes account of human difference and to interact with their environment to the best of their ability. Dónal has responsibility for the NDA IT Accessibility Guidelines and formerly worked extensively with many public sector departments and agencies on the NDA's Excellence through Accessibility Awards. 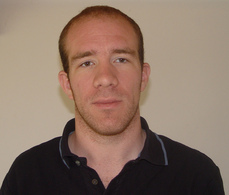 Dónal holds a BA in Maths and English from University College, Dublin, an MSc in Computing from Griffith College, Dublin, and is currently undertaking a doctorate in eAccessibility and Legislation with the Centre for Disability Law and Policy at the National University of Ireland, Galway. Ms Andrea Saks is a known advocate for ICTs for persons with disabilities. She grew in a family of two deaf parents and assisted them from an early age as their interface with the hearing world. She worked with the British Government Post Office (then the regulator of UK telecommunications) and was granted a license for connection of text telephones on the regular telephone network. She was able to successfully lobby the U.S. FCC to allow the first transatlantic textphone conversation over the voice telephone network (1975). Her first involvement with ITU standardization activity started in 1991 and has ever since increased in scope. Self-funded, she currently attends many ITU-T study group and focus group meetings promoting the inclusion of accessibility functionality in systems being standardized by ITU, such as multimedia conferencing, cable, IPTV and NGN. After the recent creation of ITU-D Q20/1 on accessibility matters by WTDC-06, she also started attending that group and now performs as a bridge between the two sectors on accessibility for persons with disabilities. She has been a key person in the creation of all accessibility events in ITU, and currently is the convener of the recently formed joint coordination activity on accessibility and human factors, as well as the coordinator of the Internet Governance Forum’s Dynamic Coalition on Accessibility and Disability. In 2008 she was given the ITU World Telecommunication and Information Society Award and made a Laureate for her lifelong work in accessibility to telecommunications and ICTs for persons with Disabilities. Susan Carroll Schorr joined the ITU in March 2000, serving as the Regulatory Officer of the Regulatory and Market Environment Division of the Telecommunication Development Bureau (BDT) of International Telecommunication Union (ITU). Her work focused on the use of market liberalization to promote universal access to ICT. She was named Acting Head of the RME in January 2008. Ms. Schorr, who organized the annual ITU Global Symposium for Regulators, also led the ITU team developing the joint ITU-infoDev ICT Regulation Toolkit. She is the architect of the Global Regulators’ Exchange (G-REX), an online forum and hotline for regulators and policy makers, and developed the annual ITU publication, Trends in Telecommunication Reform. Ms. Schorr joined the BDT Special Initiatives Division (SIS) in January 2009, and has leveraged her wealth of experience in the information and communication technology (ICT) regulatory domain to promote access to and use of ICT by the Special Initiatives populations: women and girls, youth and children, indigenous peoples, persons with disabilities and people living in underserved and rural areas. Since joining SIS, Ms. Schorr has launched the latest BDT flagship initiative, Connect a School, Connect a Community. Ms. Schorr has also contributed to the development of the joint ITU-G3ict e-Accessibility Toolkit, promoting the ICT accessibility agenda of the UN Convention on the Rights of Persons with Disabilities. 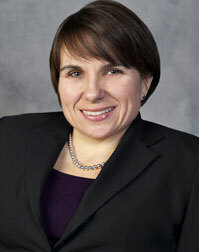 Andi Snow-Weaver is the worldwide accessibility standards program manager for IBM. With more than 20 years of user interface and accessibility experience, she is responsible for bringing industry-specific expertise to the development of worldwide accessibility standards for information technology, and driving internal IBM standards that are consistent with the company's long-standing commitment to IT leadership for people with disabilities. She was IBM’s representative to the W3C Web Content Accessibility Guidelines (WCAG) working group, which published the WCAG 2.0 standard in December 2008. She was a member of the Telecommunications and Electronic Information Technology Advisory Committee (TEITAC) to the US government for updating Section 508 and 255 accessibility standards. She served as co-chair of the TEITAC subcommittee addressing Web, software, and electronic content. Andi drives country-specific accessibility policies around the world in support of a harmonized global approach to IT accessibility. In 1998 Andi began work in the area of accessibility, a natural extension of her previous development experience in speech recognition, telephony applications, and user interface standards. Andi is editor of a W3C standard describing browser implementations of the Accessibility Rich Internet Applications (WAI-ARIA) standard and part of a developing ISO standard on AT-IT Interoperability (ISO/IEC 13066). Karen Tamley was named Commissioner of the Mayor’s Office for People with Disabilities (MOPD) in March of 2005 by Richard M. Daley and reppointed by Mayor Rahm Emaunel in May of 2011. MOPD promotes full inclusion of people with all types of disabilities and strives to make Chicago the most accessible city in the nation. In her role as Commissioner, Ms. Tamley leads numerous disability policy and accessibility compliance initiatives in key areas such as transportation, city infrastructure, emergency preparedness, housing, schools and technology. She also oversees the delivery of independent living services such as in-home supports, home accessibility modifications, amplified phones, and employment readiness to thousands of Chicagoans with disabilities. Commissioner Tamley serves as the City’s representative regarding disability related policy on a number of boards and committees, including the Pace Board of Directors, the region’s Paratransit service provider. Under Commissioner Tamley’s leadership, Chicago received the Accessible America Award from the National Organization on Disability and for two years, MOPD was named “Best Government Department” by the Deaf Illinois. For 15 years prior to her appointment, Tamley served in management, policy and advocacy roles at disability organizations in Washington D.C., Denver and Chicago. Prior to her appointment as Commissioner, she was the Director of Programs at Access Living a center for advocacy and services for people with disabilities in Chicago. Commissioner Tamley earned a Bachelor of Arts in Psychology from the University of California, Berkeley. Jutta Treviranus established and directs the Adaptive Technology Research Centre (ATRC), an internationally recognized centre of expertise on inclusive design of emerging information and communication systems and practices. Jutta heads the Inclusive Design Institute, a multi-institutional research initiative. She has led a large number of national and international multi-partner research networks (including Fluid, TILE, CNICE, CulturAll, Stretch, and the Barrierfree project) that have led to a range of broadly implemented technical innovations that support inclusion. She is chair of the WAI, W3C, Authoring Tool Working Group, chair of the IMS AccessForAll Specification Working Groups, Project Editor within ISO/IEC JTC1 SC36, as well as a member of a number of key advisory panels and task forces relevant to IT policy, strategy and design. Jutta holds faculty appointments at both the Ontario College of Art and Design and the University of Toronto. Gregg Vanderheiden is a professor of Industrial and Biomedical Engineering, and director of Trace R&D Center at the University of Wisconsin-Madison. He has worked in technology and disability for over 40 years and currently directs the NIDRR Rehabilitation Engineering Research Center (RERC) on Information Technology Access, and co-directs the RERC on Telecommunications Access (joint with Gallaudet University). Dr. Vanderheiden was a pioneer in the field of Augmentative Communication (a term taken from his writings in 1979), and worked with people having physical, visual, hearing and cognitive disabilities. His work with the computer industry led to many of the access features that are standard today. Access features developed by Dr. Vanderheiden and his team (e.g. MouseKeys, etc.) have been built into the Macintosh OS since 1987, OS/2 and the UNIX X Window system since 1993, and more than half a dozen were built into Windows 95, 98, NT, 2000, XP, Vista and now System 7 and 8. His work is also found in the built-in access features in ATMs, Point of Sale terminals, and cross-disability accessible USPS Automated Postal Stations, as well as the accessible Amtrak ticket machines, and in airport terminals. Dr. Vanderheiden has worked with over 50 companies and served on numerous professional, industry and government advisory and planning committees including those for the FCC, NSF, NIH, VA, DED, GSA, NCD, Access Board and White House. Dr. Vanderheiden served on the FCC's Technological Advisory Council, was a member of the Telecommunications Access Advisory committee and the Electronic Information Technology Access Advisory Committee (508 and 255 refresh) for the US Access Board, and served on the steering committee for the National Research Council's Planning Group on "Every Citizen Interfaces," and the National Academies’ Institute of Medicine Committee on the Future of Disability in America. Dr. Velasco has a Masters Degree in Aerospace Engineering (Polytechnic University of Madrid, 1990) and a Ph.D. in Applied Mathematics and Computer Science (Universidad Carlos III de Madrid, 1999). He is currently a senior researcher in the Fraunhofer Institute for Applied Information Technology FIT, and leads its Web Compliance Center. Since 1990, Dr. Velasco has held several positions in Research Centers and private companies in the United States, The Netherlands and Spain. Before joining FIT, he was an independent consultant in the field of software development and Web technologies. He managed and manages several national and international R&D projects in the fields of ICT and Human-Computer Interaction. Sam Waller is a researcher within the inclusive design group at the Engineering Design Centre, working on the i~design research programme. In his first year with the group, Sam produced the inclusive design toolkit, which is freely available at www.inclusivedesigntoolkit.com, and can also be purchased as a book. Subsequently, Sam championed the development, testing and launch of two additional software tools for the toolkit website, namely the Exclusion Calculator and Vision and Hearing Impairment Simulator. He has a master's degree in Mechanical Engineering from the University of Manchester (2002) and took his Ph.D. in structural engineering at the Cambridge University (2006). Dr. Gottfried Zimmermann is professor of mobile user interaction at the Stuttgart Media University, Germany, focusing on IT usability and accessibility. He received a Ph.D. degree in computer science from the University of Stuttgart, Germany, in 1999. In 2000, he joined the Trace Center of the University of Wisconsin-Madison, USA, where he focused on research and development in the area of Universal Design in current and next-generation information and communication technologies. In 2003, he founded Access Technologies Group, a consulting company for ICT accessibility, and was the technical coordinator of the European i2home project from 2006-2009. From 2009-2011, he was junior professor of Media Informatics at the University of Tübingen, Germany.